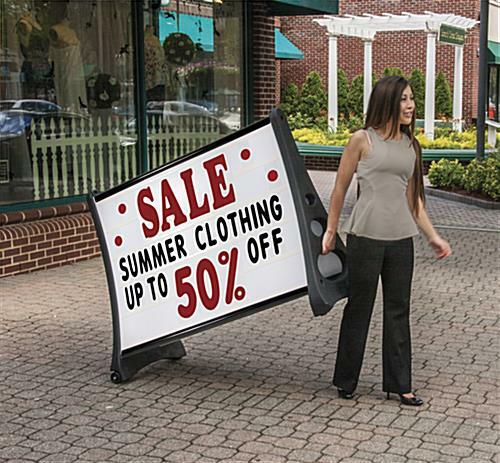 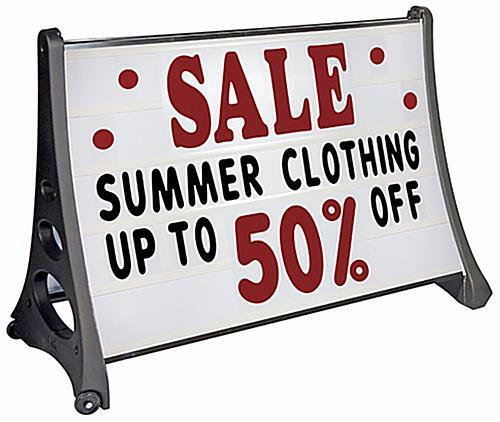 These tilting message boards with 443 letter set are the ideal way to make the most of your outdoor advertising! 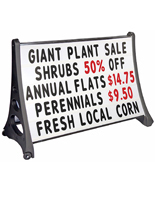 Each 48" x 36" sign can be easily rolled out to a prime viewing location like a storefront or sidewalk. 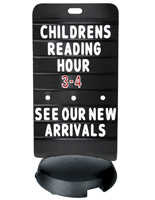 The durable acrylic message boards have 2 wheels that easily roll. 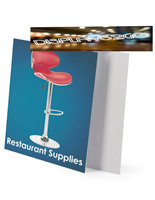 The double-sided design is perfect for maximizing your advertising potential. 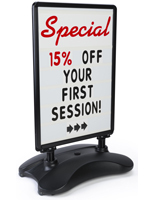 Order the message board for your retail location, outdoor event or office. 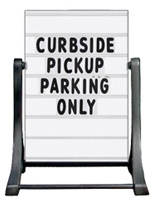 The fillable base can be filled with water or sand to withstand winds and inclement weather without damage!